What is CeeNU (Lomustine) used for? CeeNU (Lomustine) is an oral cancer medication used to treat a wide variety of cancers including lung cancer, testicular cancer, melanoma, brain tumours, lymphoma, ovarian cancer, breast cancer, or bowel cancer. The medication slows or stops the reproduction of cancer cells allowing other procedures to be performed to remove the tumours or eliminate any remaining cancer cells. Your doctor may also recommend its use for the treatment of other unlisted conditions. How should I use CeeNU (Lomustine)? 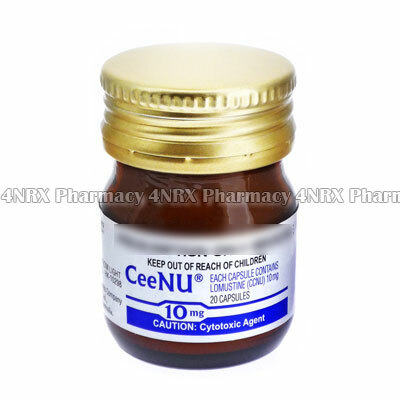 Always use CeeNU (Lomustine) strictly according to the instructions provided by your doctor to get the safest and most effective results from treatment. One tablet is normally administered each day, but your individual instructions will depend on your age, weight, current health, the condition being treated, and the severity of your symptoms. These should be swallowed whole and unaltered along with a large glass of water on an empty stomach to reduce nausea. Do not chew, split, or crush the tablets prior to use to avoid destroying or altering the effects of their contents. Ask your doctor or pharmacist any questions you have about the medicine to ensure the correct administration. What are the side effects of CeeNU (Lomustine)? Contact your doctor immediately if you experience any serious side effects such as fever, flu symptoms, confusion, chest pain, irregular heartbeats, unusual swelling of the extremities, sores appearing in or around the mouth, urinary retention, or jaundice. These conditions may require lower doses, reduced frequency of administration, or emergency medical attention in serious cases to prevent further health complications from occurring. CeeNU (Lomustine) should not be used to treat patients who are pregnant, breastfeeding, who have reduced white blood cell counts, low platelet counts, coeliac disease, a wheat allergy, or severely decreased kidney function. Also inform your doctor if you have acute porphyrias or recued liver or kidney function as these conditions may cause unexpected health problems during treatment requiring special adjustments to your regimen. 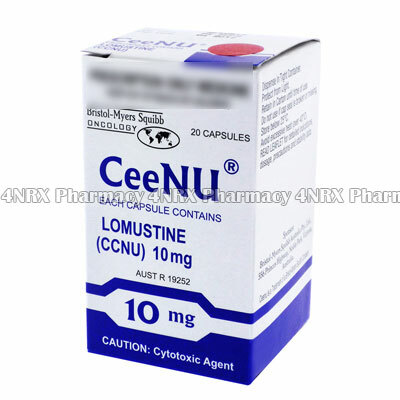 Strictly use CeeNU (Lomustine) as prescribed and follow all instructions provided by your doctor. Safe, suitable, and optimum dosage can vary and is dependent on the patient`s health and medical history, as well as the condition you are treating. CeeNU (Lomustine) may not be safe or suitable for all patients. Always ensure your doctor is informed if you are pregnant or breastfeeding, using any other type of medication (including non-prescription medicine, vitamins, and supplements), as well as if you have any allergies, other illnesses, or pre-existing medication conditions.